For better for worse, Facebook, like Google, is in a constant state of transformation. The company regularly implements new aspects and features to its platform; everything from live video broadcasting, to the newly unveiled marketplace. Case in point: Facebook Ads. Just when we think we’ve mastered the myriad of features, new developments arise. An example of this is Facebook’s recent decision to begin allowing marketers to advertise in the Instagrams Stories section. All throughout 2016, Facebook also pushed a slew of ad updates, augmentations, and alterations that helped marketers better target their audiences, create more compelling experiences, and track data in more meaningful ways. Now, in 2017, the social network is at it again, announcing new features and advertising methods to help brands succeed. They can also help to confuse the heck out of you. If you’re ready to sink your teeth into a new ad experience or need insight to quell the confusion, check out these three new ad updates from Facebook. Back in 2015, Facebook introduced Dynamic Ads. This is a popular ad model that allows brands to promote relevant products and services in a carousel-style layout. Since its inception, this form of promotion has been leveraged for retargeting audiences who have already viewed a company’s merchandise. But Facebook wants marketers and businesses to be able to reach more interested buyers who have displayed an intent to purchase with their ads. In simple terms, this means that if your company sells red umbrellas, you can now target individuals searching for that type of product across retail websites. While the offering is only available in the U.S. as of now, it will certainly roll out globally in the near future. Start learning to master this new element because it is likely to lead to a massive increase in sales. While this feature is still in a testing phase, it’s best to start bolstering your video marketing skills to take advantage of this forthcoming video element. It has now been reported that Facebook will soon give video content creators the option to place ads into videos that are longer than 90 seconds. Since Facebook has always shied away from pre-roll video ads, the company has opted for mid-roll promotions that will play after viewers have watched a video for at least 20 seconds. Facebook sources have stated that 55 percent of sales derived from ads will be shared with publishers, which is similar to what YouTube offers. This is definitely a double-edged sword. While this provides advertisers with increased options, and more compelling ones at that, this also means that publishers will need to create ultra-engaging videos to keep people watching once an ad starts playing. In mid-November of 2016, news broke on Facebook’s upcoming multi-product newsfeed ads that will allow advertisers to display multiple pages as well as offerings. According to Facebook, these ads will enable retailers to display as many as 50 products within an ad. The two-click process works by displaying a main ad image or video with related products listed below. If a user clicks this ad, a second page will be displayed wherein various related products will be displayed. If a viewer clicks an item on this second page, he or she will be taken to the company website where he/she can purchase the items. This is fantastic news for retailers who were green with envy when Instagram received similar shop-able posts. This is certainly an ad feature to master in 2017 because it allows many retailers to display large portions of their catalog for shoppers to browse within a single ad, helping to increase their chances of making a sale; especially when compared with ads that only display a single product. Facebook is without question one of the most innovative companies developing ad experiences for brands to leverage. This is exactly why the company has effectively seized a large portion of Google’s AdWords revenue. If you focus on just one ad platform, most companies would benefit the most from Facebook Ads. If you know a portion of your audience is active Facebook users, it’s unequivocally worth your time to master Facebook’s advertising platform. Video ads will be a game changer; become an early adopter and you can blow away your competition. Which of these ad experiences are you most excited for? 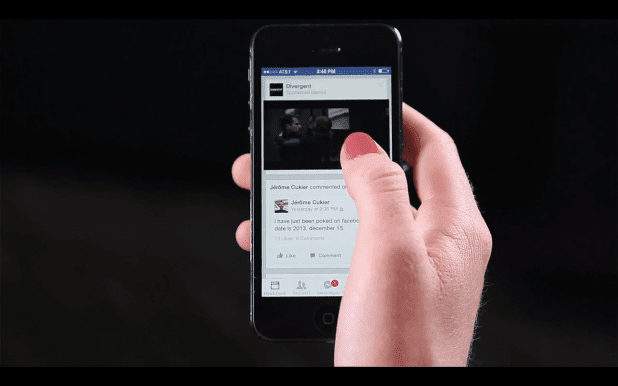 Do you think that mid-roll video ads will negatively impact the amount of video people who are watching on Facebook?